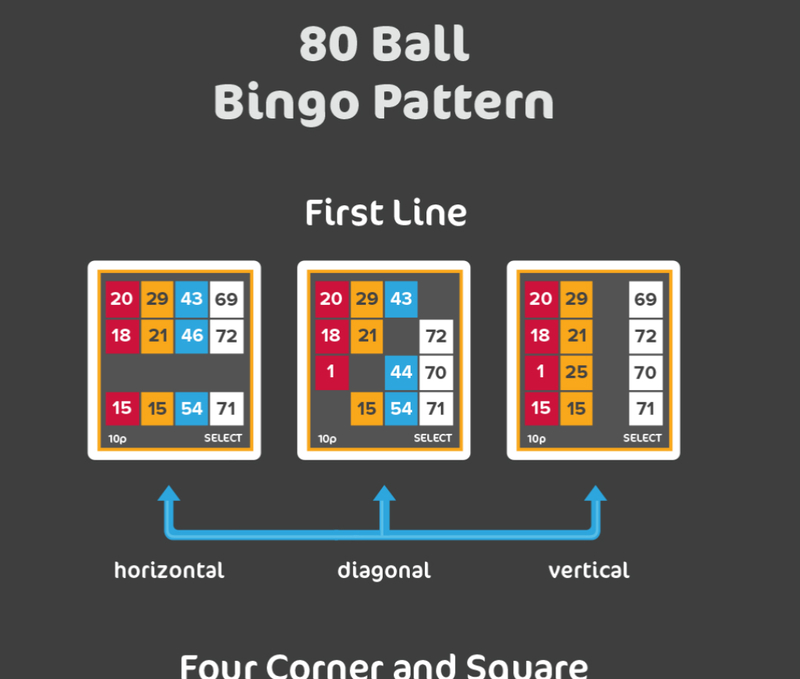 Although not as widely played as its 75 and 90 ball siblings, 80-ball bingo has earned a niche in online bingo following for bingo players looking for a unique twist on the bingo games. 80-ball bingo is ideal for enthusiasts who feel that 90-ball bingo is too slow and cumbersome to play, and who also think that 75-ball bingo is a little too traditional. 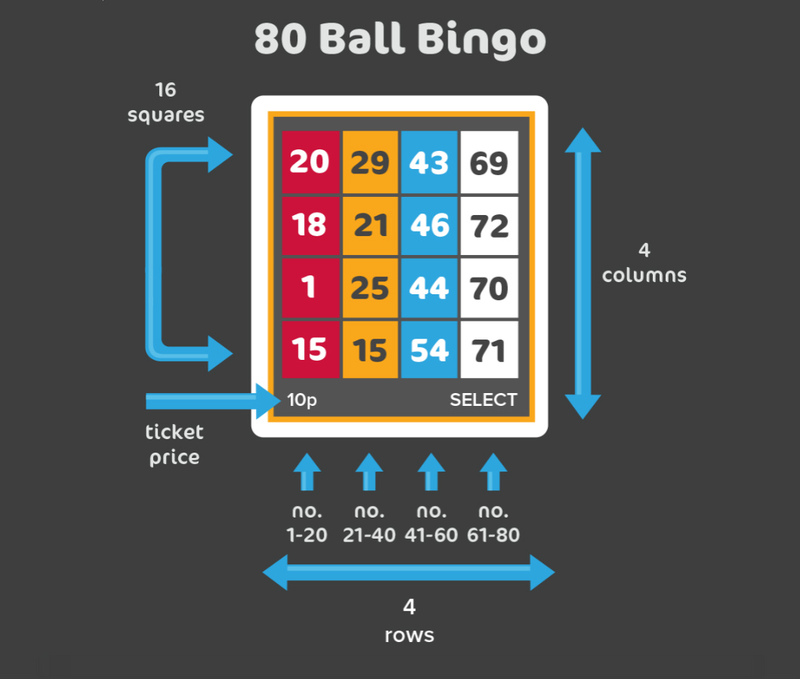 80-ball bingo cards feature a 4×4 grid layout containing a total of 16 numbers. Each of the four columns is presented in a different color, and the numbers themselves are divided into each of those four colors, with 20 numbers comprising each group. Red – Numbers 1 through 20. The numbers 1 through 80 are used in a standard 80-ball bingo game. In a live hall, a bingo caller will call each number one at a time until the winning card/s are identified. The same goes for an online game, though the computer software will select the balls. During a game, each number will only be called out once. When a number is called, locate it on your card and use your dabber to mark it. In an online game, you’ll likely have the option to have the computer auto-dab your numbers for you, or you can do it manually. Some players like to dab their own tickets when playing online because it creates more of an interactive feeling, but the choice is completely up to you. In a live hall, there will be an electronic board or screen that displays what numbers have been called, which will assist you in keeping track of the balls in play. Online, many sites will have an area on the screen that show the last 4-6 numbers called. 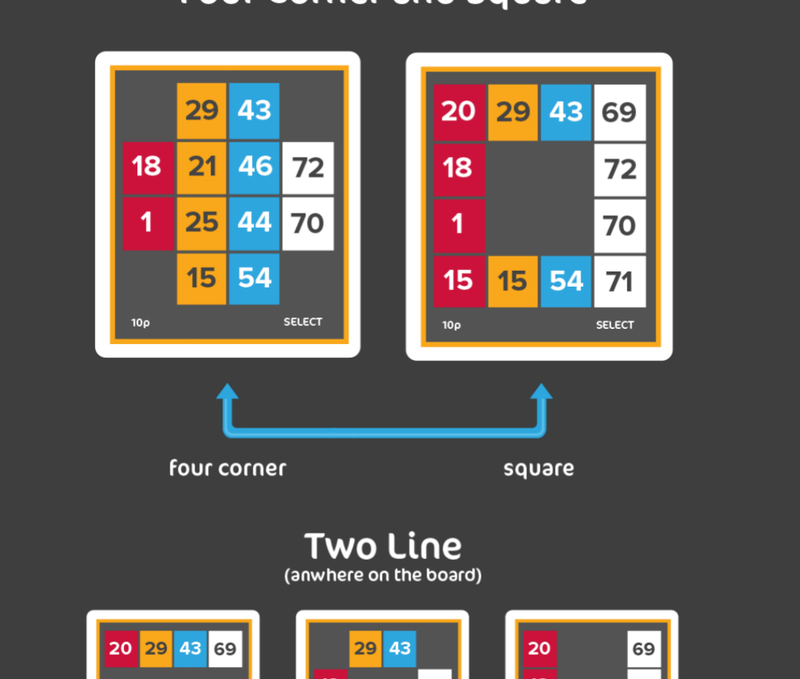 In 80-ball bingo, the call board contains five rows of sixteen numbers, which are also represented by the four colors containing the 20 number intervals. 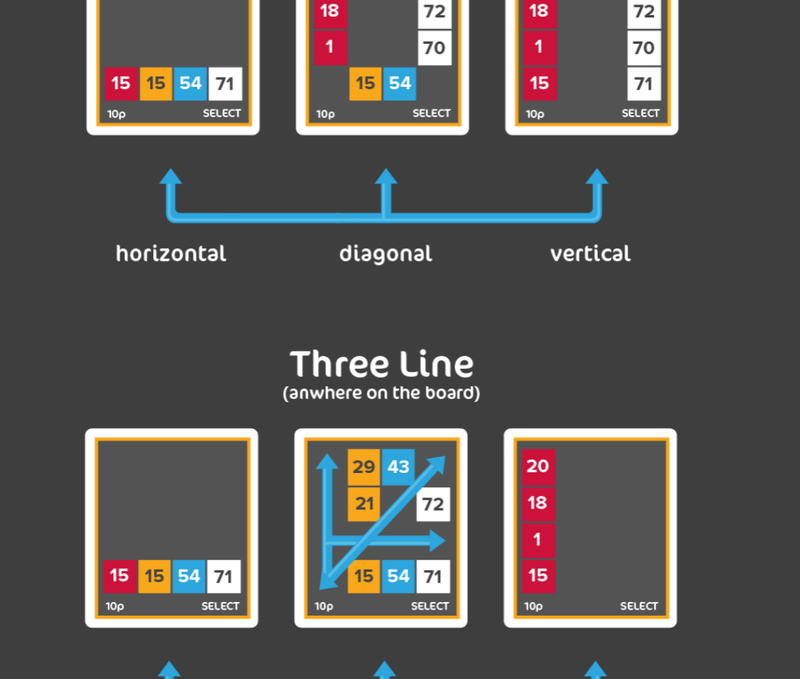 Diagonal, Horizontal and Vertical Bingo: - Complete a single line in any of these rows. 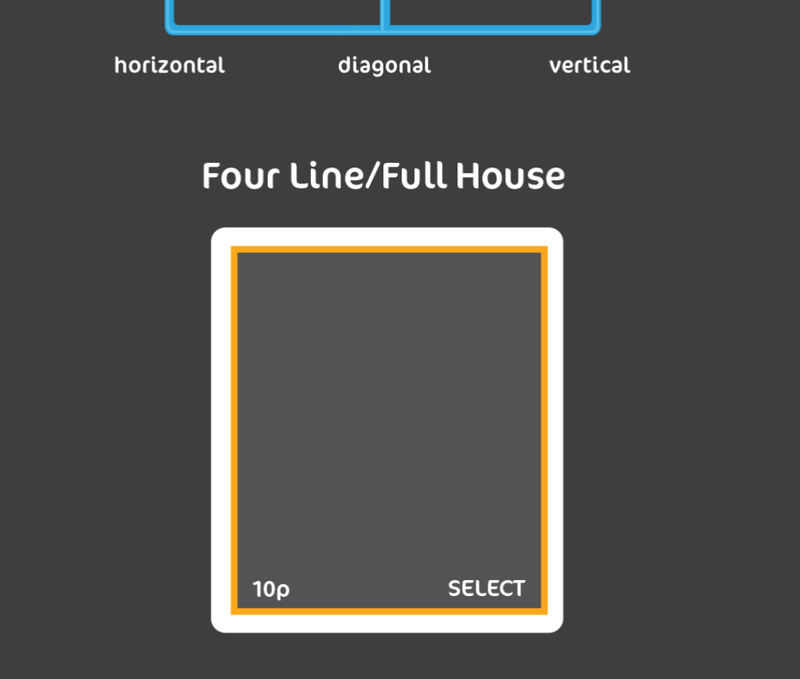 Full House: - Complete all the numbers on your card. The amount you can win is typically determined by how much the price of each ticket was and also by how many players are participating. The higher the price of a ticket and the more players that are involved in the game, the higher the prize money will be. Many halls and online providers will have guarantees attached to some of their games, which ensures that a designated minimum amount of prize money will be offered to the winners regardless of how many players are in the game. Know the Rules:- While 80-ball bingo is played the same way almost universally, each hall and online provider has their own set of rules and ways of operating that you should know about. This way you don’t have to worry about doing something wrong or accidentally making a mistake that could cost you prize money. Watch for Special Promotions:- Every bingo provider has unique games and promotions that they run. Participating in these games are a good use of your buy-in money as whatever the promotion is, chances are you’re getting a higher value when compared to a standard bingo round. Some places will offer a buy one/get one special where for every ticket you purchase, a free one will be added. Save your money for these games, especially if they offer a guaranteed minimum prize pool, and you’ll be stretching your bingo money wisely. 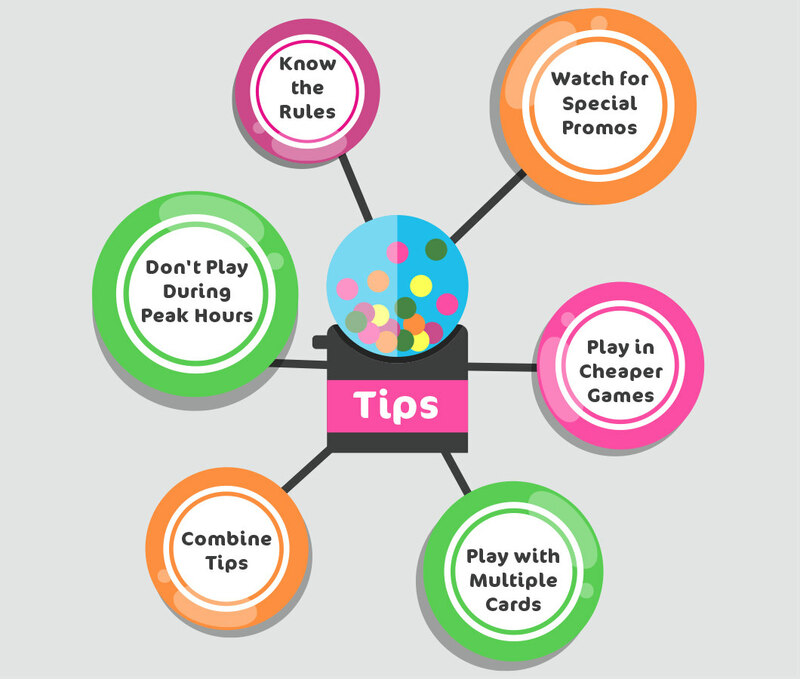 Don’t Play During Peak Hours:- When it comes to bingo odds, the math is simple. The more players you’re playing against, the harder it’s going to be to win. Instead, try to adjust your schedule so that you can focus on playing during off-peak hours. This is possible both in a live and online setting, as all you have to do is a little research to find out what games/start times attract the most players and then avoid those games. This is a quick and easy way to maximize your odds of winning. Play in Inexpensive Games:- If you’re playing on a tight budget, you can always find bingo games from your preferred provider with lower-priced cards. By playing in these games, you can increase the number of total matches you can participate in, thus giving you more chances to win overall during your session. Play with Multiple Cards:- Another way to put the odds in your favor is to purchase multiple cards for each round, rather than playing on a single card. This can affect your budget, so take that in to consideration before buying too many cards for a round. In a live game, it takes a lot of concentration and fast reflexes to be able to play multiple cards at once, so only accept that challenge if you feel you can handle it. Online, simply select the option that will enable the computer to mark all of your cards for you. Combining Tips:- By putting a few of the above tips together, you can really put the odds on your side. Find games with low-priced cards that are taking place in off-peak hours. Then, if your budget allows, purchase multiple cards for those rounds. You’ve now given yourself about just as good a chance of winning as any experience bingo player could hope for. Most importantly, don’t forget that bingo is ultimately about having fun, so find the 80-ball games that you enjoy the most and you’ll never find yourself unhappy with a session. Most of us would love to play blaour favourite bingo games.